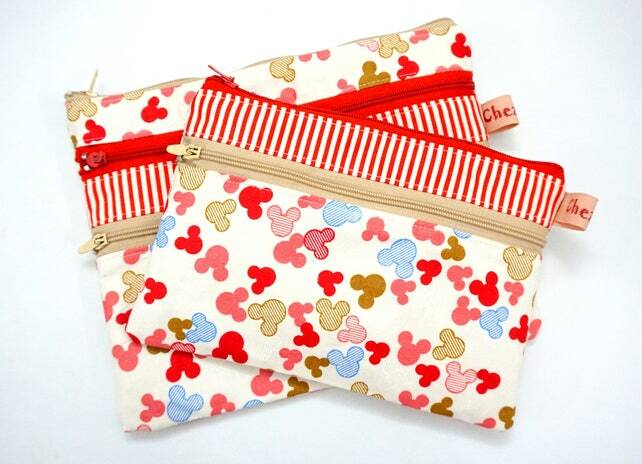 Just pop in for a little shop updates! 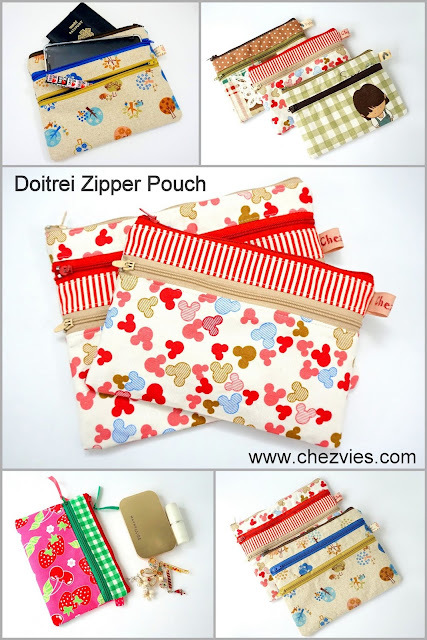 If you follow me in Instagram, you probably have seen my latest wallet collections. I've been making bifold wallets almost everyday in between working on Passport holder orders. I'm currently finished 3 out of 6 wallets that I am planning to make. 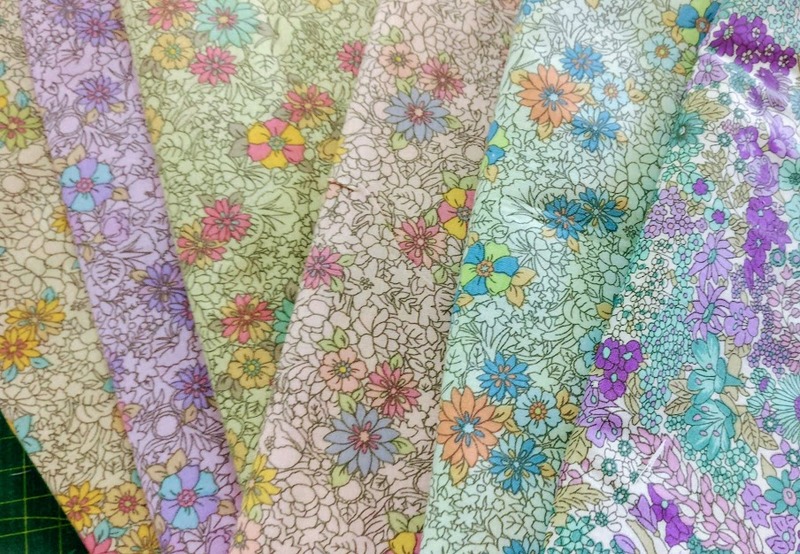 The floral fabrics are just too pretty to just sitting in my cupboard, right? 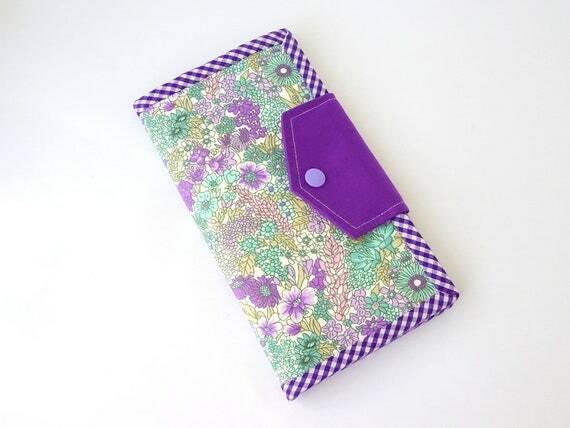 The purple floral wallet with gingham binding! 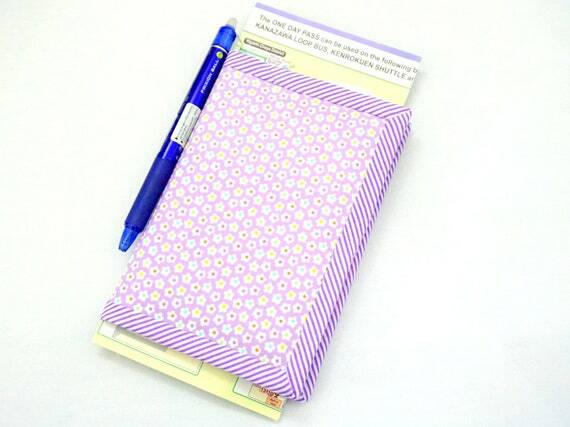 Frankly, I am so in love with this one, esp the gingham bias binding. You can check my previous post for making Bias Binding. And I have a matching zipper too!! 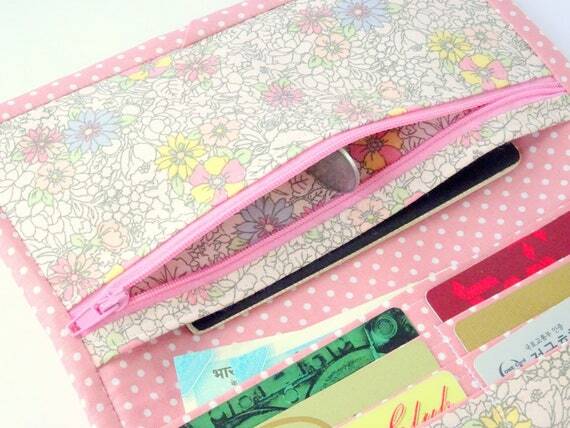 The second one is this peach bifold wallet. The background color is so pretty, I was in two minds whether to use teal blue combination or peach, and decided to do the latter. Maybe I will use teal blue or green combination next time! 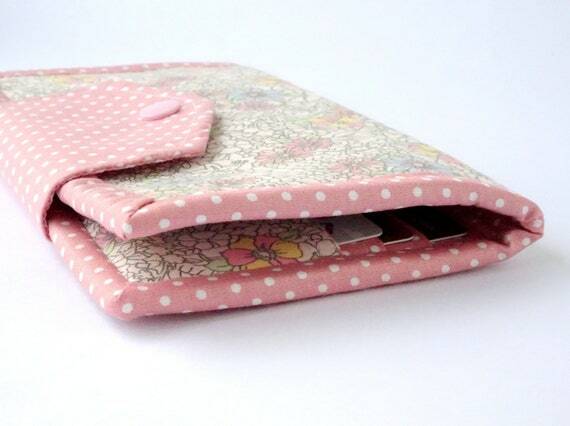 And here is the Floral Pink Wallet. The powder pink polkadot looks very lovely. I've been saving the fabric for the right project! 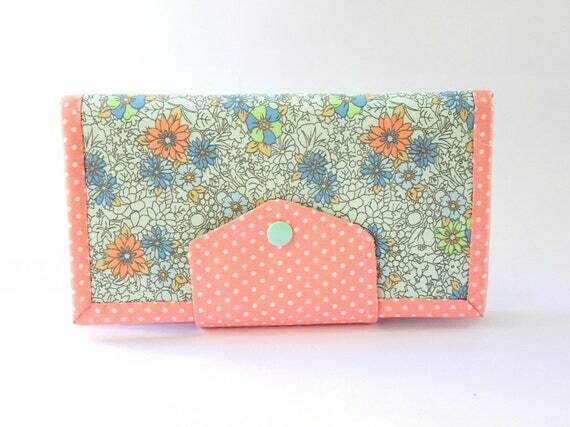 And this women's wallet is just perfect! 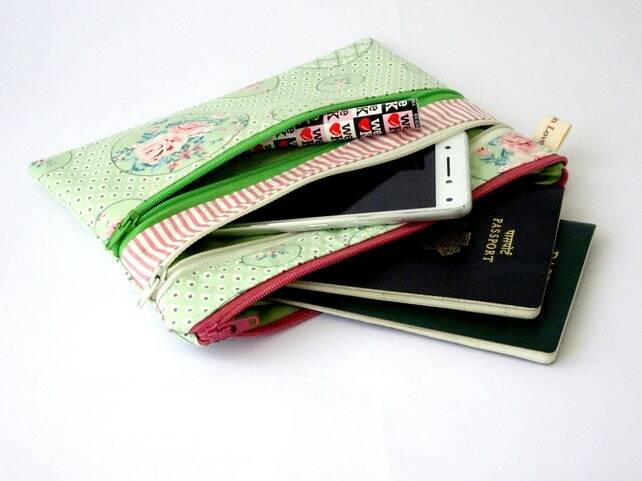 These pretty wallets are slightly wider than the previous wallet, so that it can double up as travel wallet or phone wallet. I used medium weight woven interfacing and a stiff poly batting which is a great combination. It's study yet soft to hold. These bifold wallets will be a great gift for your loved ones! They are now available in my ETSY SHOP and it's Free Worldwide Shipping. Today I will share a little tutorial on how to make your own bias binding. If you follow my blog, I love using binding for all my wallets. 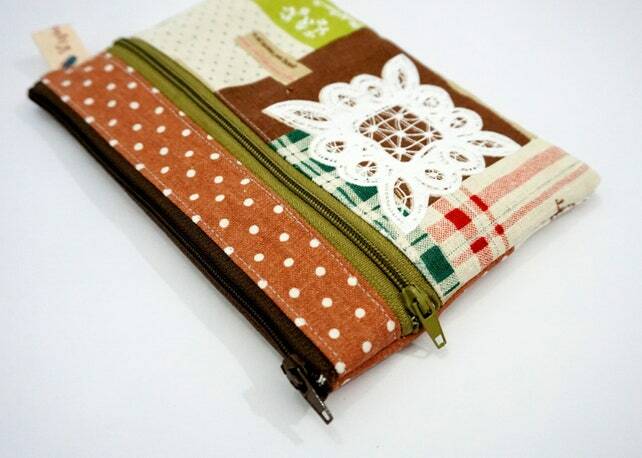 Though sometimes, I tried to make one without binding like this wallet. Bias binding strip is a narrow strip of fabric cut diagonally (on bias). 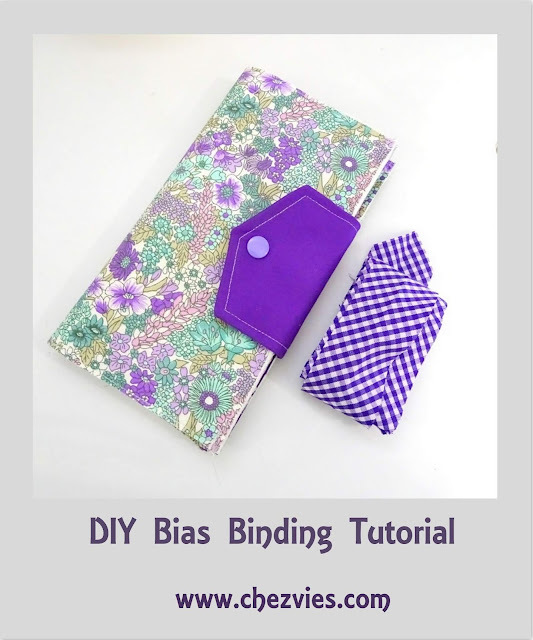 There are many tutorials and video tutorials on how to make a continuous bias binding, but I prefer the good old slow method. 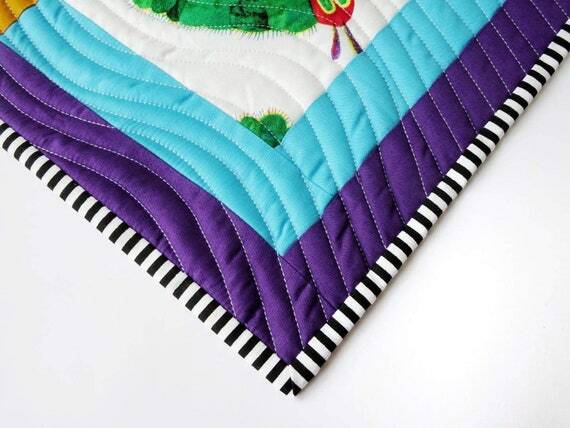 The extra minutes of making this binding will be so worth it! Ok, in this tutorial I used a square fabric 10" x 10" which is sufficient to make binding for single wallet. Bias binding effect is best if you use gingham or stripe fabrics. 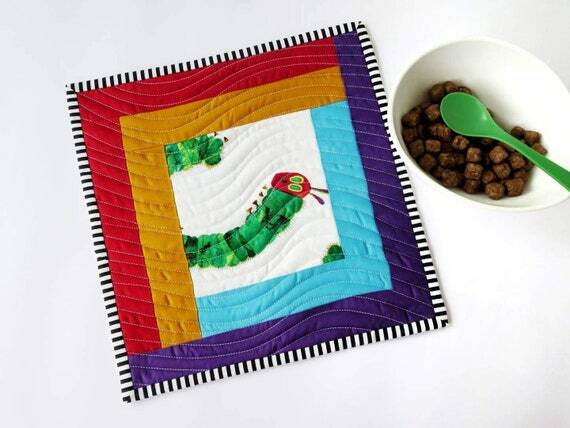 First, make sure that your fabric's grain is straight. If not, do straighten your fabric first. This is very important! Then using the quilting ruler and rotary cutter, cut the first strip 0.75" wide. That will make a 1.5" Wide binding strip. Then cut the next strip 1.5" Wide. Continue cutting until there's small triangle left. I normally do not use the smallest strip but I keep the leftover triangles for scrap projects. Now, take the first strip that you cut and straighten the end of the binding strip. Take the second strip, lay the triangle end on top of the straight one, RIGHT SIDE TOGETHER and overlap by 1/4" . Sew diagonally with 1/4" seam allowance and trim. Take the next strip and lay the triangle like in the picture below (right side together) and overlap by 1/4" and sew with 1/4" seam allowance. The strip will look like in the picture below and ready to be sewn into the wallet! 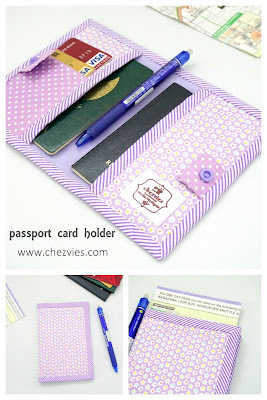 I really love how this gingham binding look on this Purple Flower wallet! See, it's super easy! It may seem like a lot of work, but this method will always yield a perfect bias strips! Don't be afraid, go ahead and try it and let me know how do you like it! 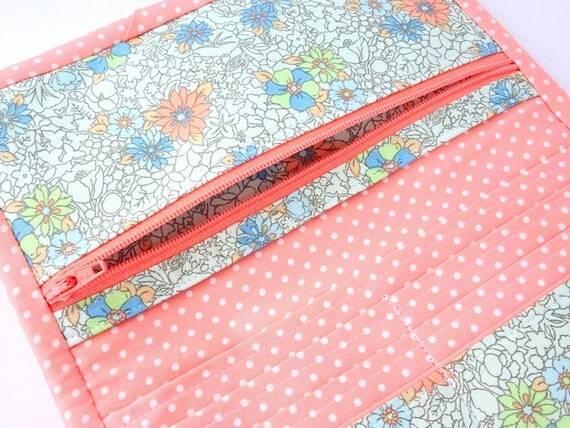 You can check HERE for Tutorial on how to hand sew the binding. Last weekends we went to Shillong for a short break. We stayed in a new B&B resort called Windermere Resorts. Currently they only have 7 rooms available but the rooms are lovely. It has a feeling of country home. The resorts is on the hill top, surrounded by pine trees. It was nice relaxing trip for all of us! The boys just wanted to stay in and watching soccer match on TV. Luckily I brought a couple of wallets that needs to be handsewn. 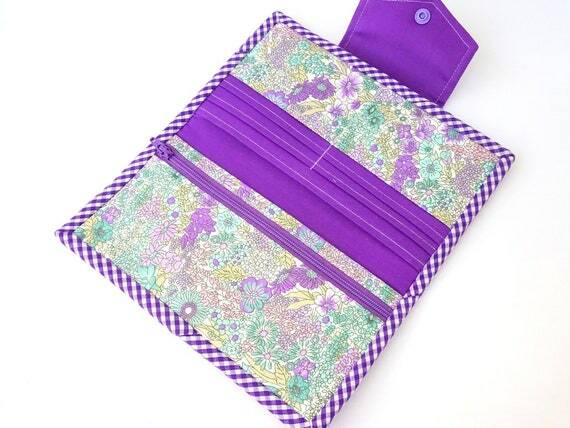 This purple travel wallet was for Nia. She wanted purple polka dots and chose this fabric from the photos in my Instagram page. The fabric is a lightweight Indian cotton fabric. I combined the polkadots with a matching solid purple to tone down a bit so that it won't look too busy. Wonder clips always be a great help when finishing the binding. And here is the view when it's filled up. 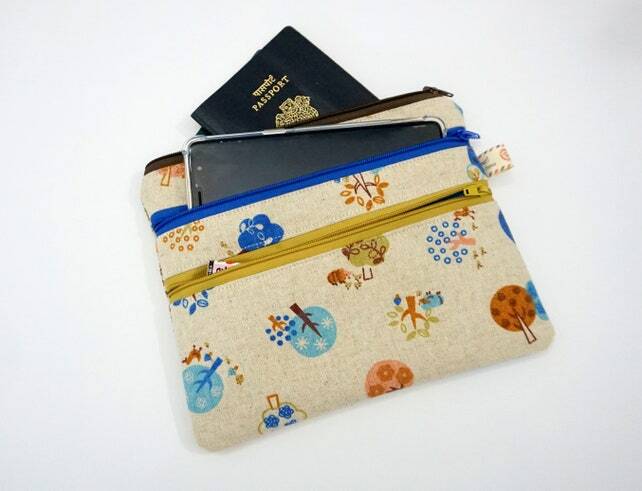 It can hold up to 6 cards, 2-3 passports and boarding passes, pen holder, slip pockets and zipper pocket. All in one wallet! 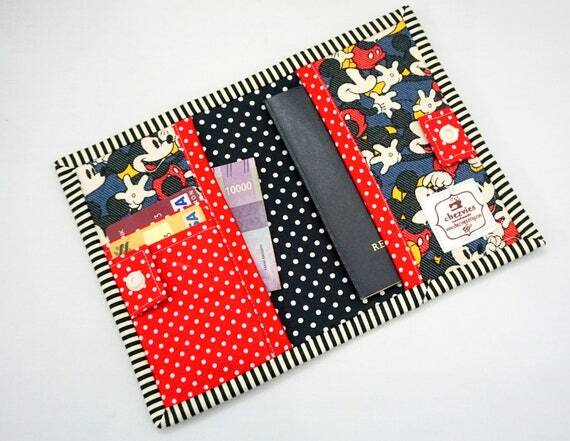 If you want to make the wallet, you can get the pattern HERE. As I work with different thickness of fabric, I often experimenting with the interfacing. For this purple wallet, since the fabric is thinner, I used heavy weight interfacing on both main body and added a layer of thin batting. 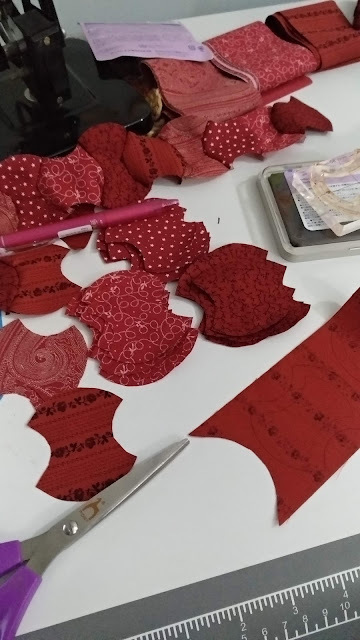 If you're in India, you can read about interfacing in this post. I hope she will like it! Time flies when you're having fun! That saying is quite true. This week started with meeting a new friend, who happened to travel to Guwahati. It was a fun meeting her though very briefed since she had to go back to Indonesia. Traveling alone needs a certain degree of organization. Everyone has their own way of keeping everything organized. 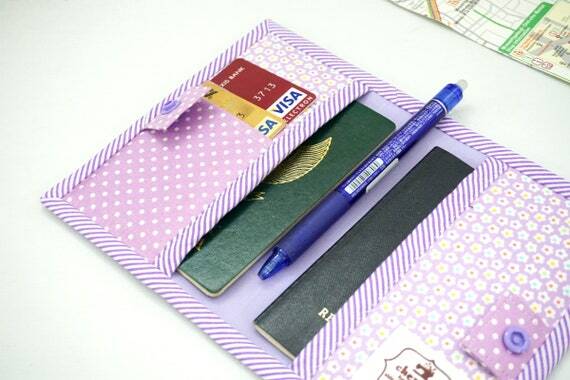 Some people love to carry many things and always need to print out the e-tickets and hotel booking, etc, that they need a bigger passport wallet where they can keep everything in one place. 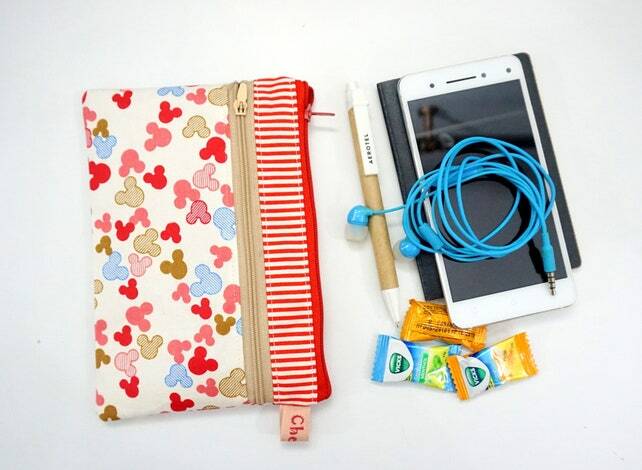 Many people also prefered a multi compartment zippered bag. 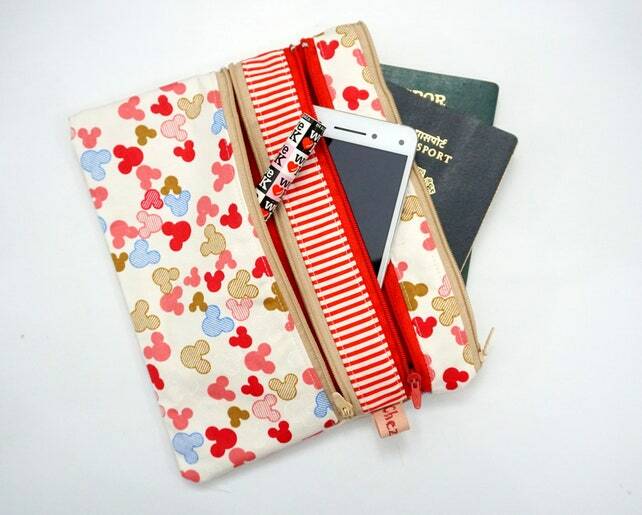 I do love to carry a bigger family passport wallet whenever we travel as family. However, when I travel alone, sometimes I like to go minimalist and carry a compact passport sleeve just for my passports and a few cards like the one above. I can easily put this inside my sling bag and the snap button will keep it secure. I made another passport cover using the fabric I bought from my Japan trip this year. 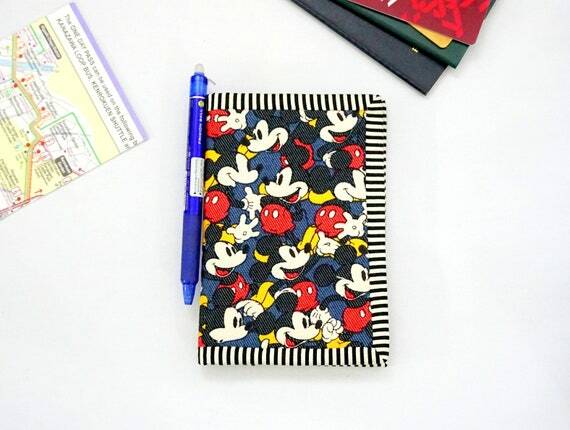 It's a cute Mickey Mouse print in Denim! 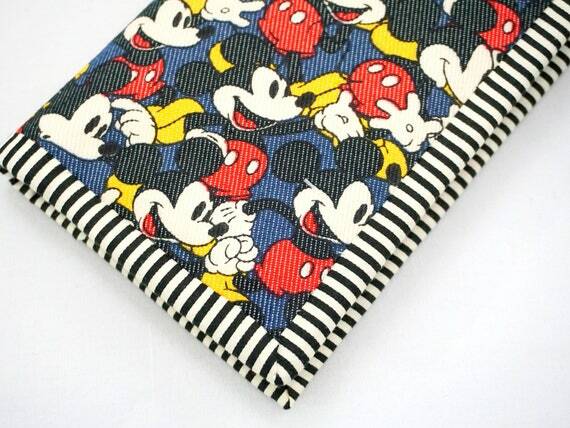 It is the same fabric as the Snoopy Passport Cover. 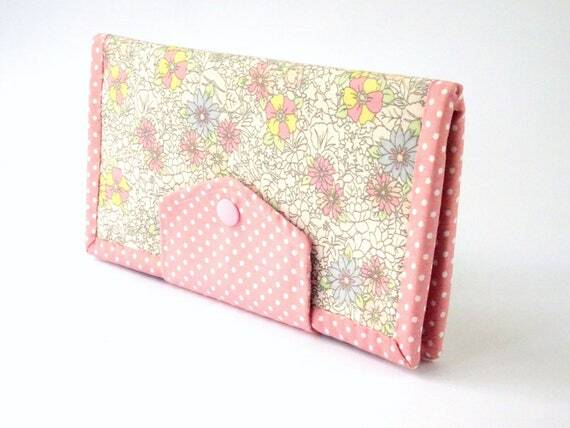 Hand sewn binding is always my prefered method and in fact my fave part of sewing wallets! When it's done and the binding turned out beautifully, it always gives me joy, a sense of victory! What about you? What is your traveling style?